Today’s inspiration comes from the blue lobster! 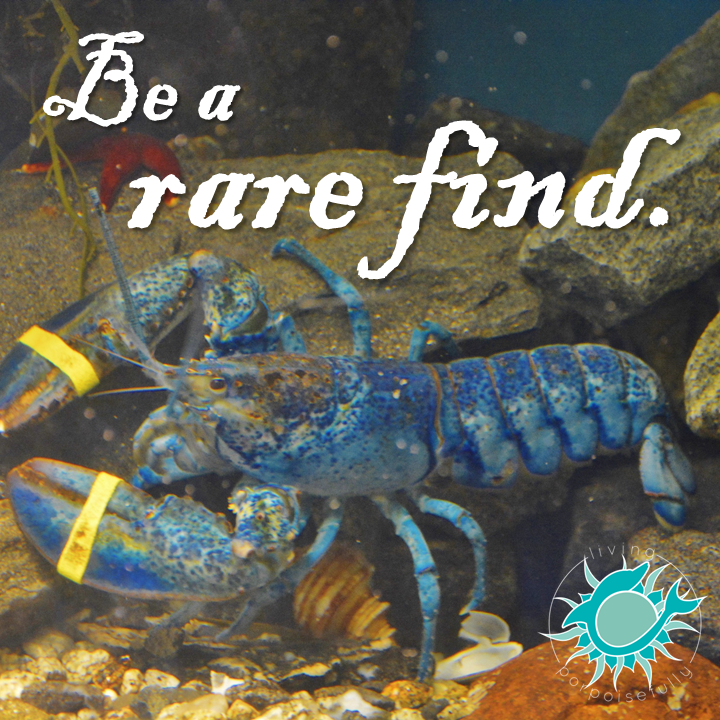 The odds of finding a blue lobster is 1 in 2 million. There are other colors that are rare too, like calico (mottled black and orange), solid yellow, and albino. We were stoked to be able to see a blue lobster at the Maine State Aquarium on our Maine trip this summer. In fact, it was even on our bucket list to see a blue lobster! It’s especially neat knowing that you’re seeing a phenomenon that only appears just 1 in 2 million lobsters. The reason for this stunning blue color? There’s a certain pigment that lobsters have that the blue lobsters produce in excess. So, let’s take a lesson from the blue lobster and be true to our own unique makeup. Be the rare find that you truly are!